This is 7mm Rem. 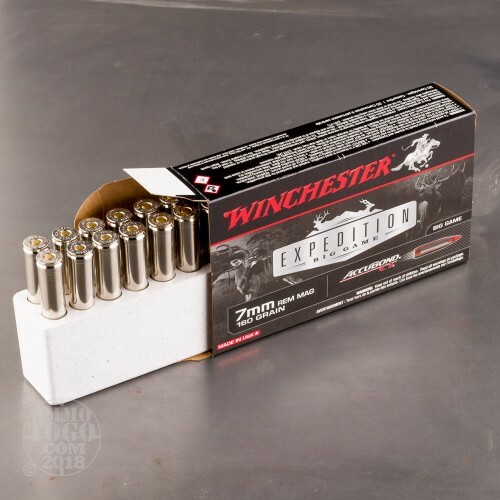 Mag Winchester Supreme 160gr. 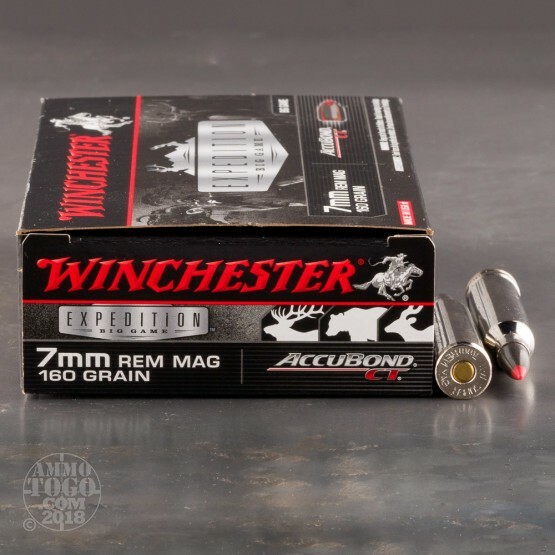 Accubond Bonded Ammo. Features rapid controlled expansion, massive knockdown, and moderate penetration. Red polycarbonate tipe resists deformation and initiates expansion upon impact. Bonded alloyed lead core provides uniform expansion, contoured jacket, Lubalox (Black Oxide) coating, rapid controlled expansion. 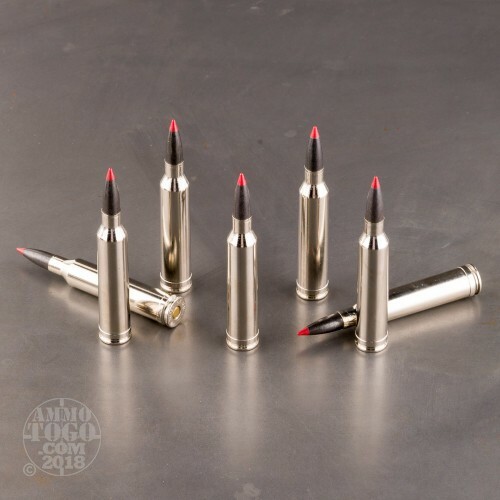 This ammunition is new production, non-corrosive, in boxer primed, reloadable nickel coated brass cases. This ammo comes packed in 20 round boxes. 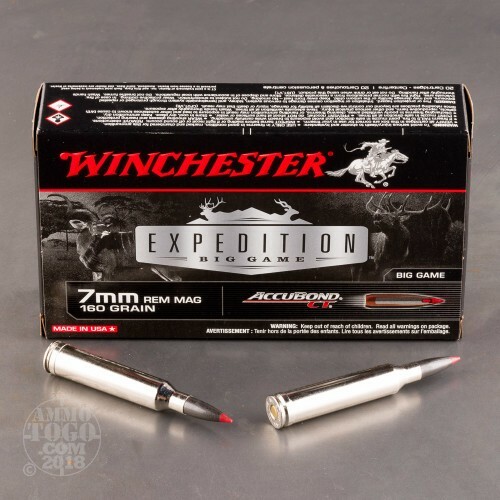 Have enjoyed the success with Winchester accubond ammo. Always dependable and consistent.